The national wine brand and Moldova as a tourist destination were presented at a reception in Japan. The reception was attended by several Japanese companies that import products from Moldova. Sommeliers and amateurs, officials and businessmen tasted Moldovan wines produced by 21 wineries. 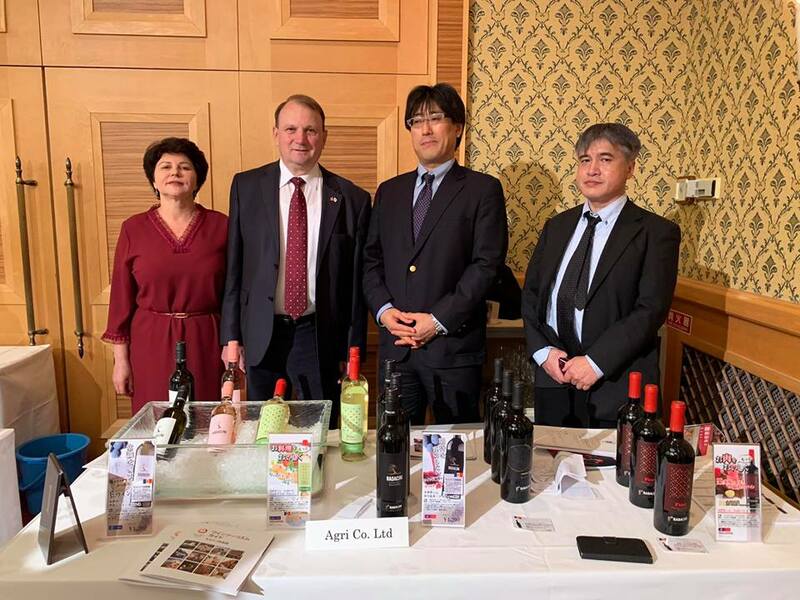 The Ambassador of the Republic of Moldova to Japan, Vasile Bumacov, stated that he is always happy to organize and take part at the events dedicated to the promotion of the most competitive Moldovan product - wine. The reception crowned the activity of eight Japanese importing companies, which accepted the invitation of the embassy, as one of they roles is to promote Moldovan products on Japanese market. Japanese Parliamentary Vice-Minister for Foreign Affairs, Kenji Yamada noted that the relations between Japan and the Republic of Moldova are close and friendly, especially in the agricultural sector. The official stated that the opportunity to taste Moldovan wines is an honor for him. Over the past two years, the export of Moldovan wines has increased by an average of 75%. Moldovan wine exports to Japan grew steadily, reaching 276,000 liters in 2018, with an average export price of $ 2.9 per liter. © Madein.MD All Rights Reserved.